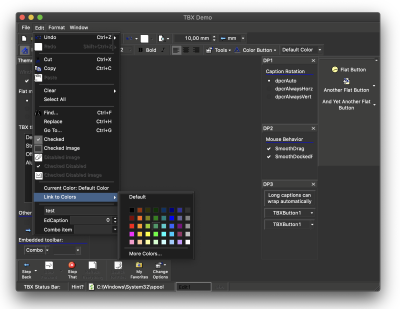 Toolbar2000 is a set of components for CodeGear Delphi and C++Builder (4.0 and later) designed to mimic the look and behavior of Office 2000's menus and toolbars. 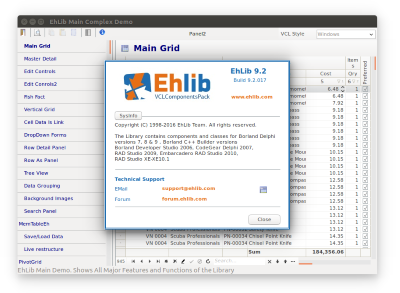 EhLib contains components and classes for Borland Delphi 7, 9, 2005, 2006, CodeGear Delphi, CodeGear RAD Studio, Embarcadero RAD Studio, intended to increase capacity of the client part of database application in part of interaction with applications user. 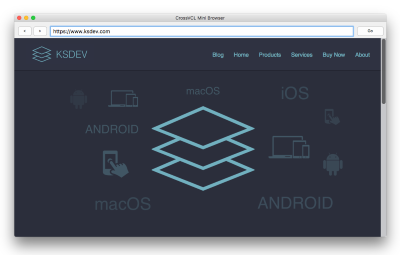 Cross-platform TWebView component for CrossVcl. 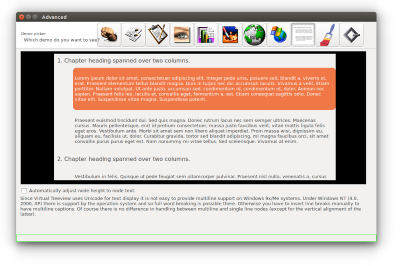 CrossVcl version of SynEdit. This is a fork of the Unicode version of SynEdit hosted ad SourceForge. CrossVcl version of Graphics32. 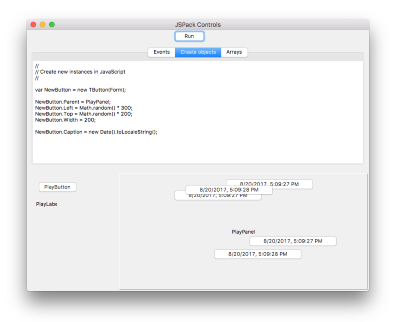 Graphics32 is a graphics library for Delphi and Lazarus. Optimized for 32-bit pixel formats, it provides fast operations with pixels and graphic primitives. In most cases Graphics32 considerably outperforms the standard TBitmap/TCanvas methods. 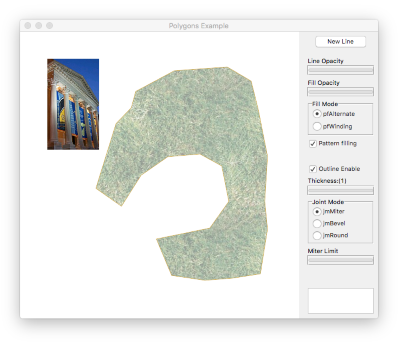 CrossVcl version of Virtual Treeview. 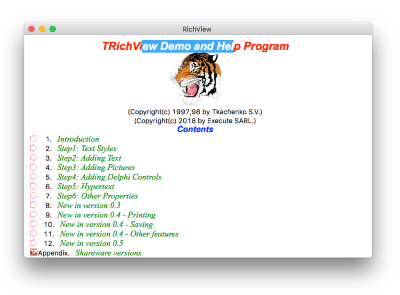 Virtual Treeview is a Delphi treeview control built from ground up. Many years of development made it one of the most flexible and advanced tree controls available today. Virtual Treeview starts off with the claim to improve many aspects of existing solutions and introduces some new technologies and principles which were not available before. 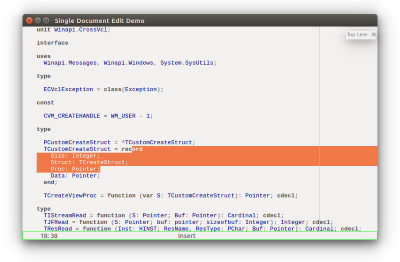 TRichView is highly tied to the VCL and Windows, my purpose with this component is to split things as much as possible.